Ask Phil Koczan to sum up where things stand on interoperability between primary and secondary care, and he speaks of a “transition phase”. A practising GP for more than 20 years – and now also clinical director for health and care at the Professional Record Standards Body (PRSB) – Koczan has been around for various national pushes on data sharing between the two sectors. Jeremy Hunt went as far as to visit specific GP suppliers to urge them to improve the data sharing of their systems. His successor as secretary of state for health and social care, Matt Hancock, has also singled out interoperability between primary and secondary care as a real problem. Technology has also enabled GPs to see all the tests organised by hospitals and the results of those tests. Which is clearly all good progress. But is the data flowing in both directions – from GP to hospital as well as from hospital to GP? Not always, it seems. “We have a relatively superficial view of the GP record,” reports Geoff Hall, medical oncologist and chief clinical information officer at Leeds Teaching Hospitals. One of the reasons behind this could be that some GPs are reluctant to share their data because of uncertainties surrounding information governance. “Doctors have been told all their practising lives that all the information should expressly have permission in writing to share it but that is no longer the case,” Koczan points out. This leaves many GPs uncertain on what they can share, how they can share it, what consent is needed, or how the general data protection regulation (GDPR) applies. And there can be challenges too with that old NHS chestnut – budgets and who should pay for what. Who should cover the cost of installing data sharing setups between primary and secondary care? Is it the CCG, the hospital, the local health economy more broadly? And where will the finance come from? Koczan argues that hospitals shouldn’t pay for a system which everybody else can get benefit from and that this should be a shared responsibility. He hopes the new Local Health and Care Record Exemplars (LHCREs) may help here. And there is hope, too, that another nationally-led initiative may help make a difference with primary/secondary care interoperability. Last summer, Leeds became the first city to go live with GP Connect, an NHS Digital-led programme designed to make it easier for clinicians across care settings to view a patient’s GP record, manage GP appointments, and access data on a patient’s medicines and allergies. One such case is when a patient was admitted to hospital with pancreatic cancer diagnosis established by the GP but “the hospital notes were literally empty on this patient apart from the investigation results”, explains Hall. With GP Connect, however, he was able to read the notes made by the GP – and so know exactly what had already been explained to and discussed with the patient. For Hall, the crucial addition to the new system is that it contains the plain text of the GP consultation – so increasing the ways in which the information can be manipulated, viewed and used. Though the initial functionality is clearly a step in the right direction, Hall is already contemplating the next stage. The plan, he says, is to integrate that GP data directly into the hospital record to merge information from two sources into one simultaneous display. Hall also believes that there should be a single integrated community health record where all clinicians involved in a patient’s care would be able to enter data into one single system. Health and social care secretary Matt Hancock has undoubtedly injected new energy into the integration agenda – not just with the promise of money for technology, but with a documented vision for national approaches. Hancock is not the only key figure supporting technology investment for integration, Lord David Prior, chair of NHS England and of University College London Hospitals NHS Foundation Trust, admitted that integration was absolutely needed and that providers needed to stop acting as “islands in the sea”, instead working together to help their populations, neighbours, and wider patches. Where are the open technology standards? Where is the common sense that business requirements, not vendors, dictate the rules? Even though we haven’t made as much progress as we should, we can be more optimistic that there is an alignment happening between the centre (NHS England, NHS Digital), the health and social care service and suppliers. 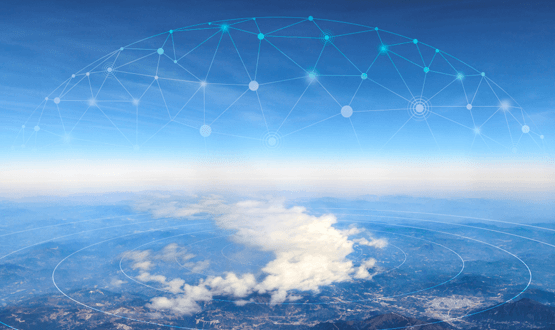 We are on the cusp of doing something great, even if that means we are talking years, because increasing interoperability maturity and capability is a continual process – a journey, not a destination. Interoperability provides an unprecedented opportunity to standardise, re-engineer and improve clinical workflow. We have a responsibility to take advantage of this opportunity, and not to, would render the investment in interoperability useless. We must use new technology and models of care to change the way care is delivered – “old process plus new technology = extremely expensive old process”. Make no mistake, there are huge challenges in “the 10%” technical work that must now be overcome quickly, but our eye must be on “the 90%”. This is integration of the next generation. Healthcare is undergoing a transformation to an integrated, multi-provider model where the patient or more appropriately the citizen sits firmly at the centre. The focus has clearly shifted from individual care episodes to continuity of care and finally to holistic, population health management. It is not individual providers but governments at municipal, regional or national level that are starting to coordinate health and social care to help manage a citizen’s wellbeing. This change in focus has many implications for IT systems, an area where healthcare providers already struggle. Clearly, the systems of today need to change since IT is a key enabler of this shift and interoperability is at the core of this challenge. When it comes to health data interoperability, there are two schools of thought: application-centric and data-centric. The first believes that since there are so many systems already in place, we should agree on the exchange format (and recently the APIs) and convert the proprietary data into that format as needed. This is the preferred approach today when faced with a large installed base of legacy solutions. The focus here is on the applications. The second approach is normalising the health data first, building new systems on top and avoiding the interoperability issues altogether. This entails defining a data layer, which is the most important aspect of an open architecture. Why is this the most important layer? Most healthcare organisations are beginning to realise that their data is more valuable than their applications. Data has become a valuable asset, since good data is key to improving outcomes, managing chronic disease and enabling population health management. The focus shifts from applications to data, i.e. the data-centric approach. To do this, storing the data in a vendor-neutral format is crucial. Almost all applications store data in proprietary formats and healthcare is no exception. What is different in healthcare is that we need to keep data for the lifetime of the patient. It is clear that no application will last this long so we will be migrating data from one proprietary format to another every 10 to 15 years when replacing applications. PACS is a good example. The DICOM format was chosen 30 years ago and today, no vendor stores images in other formats. 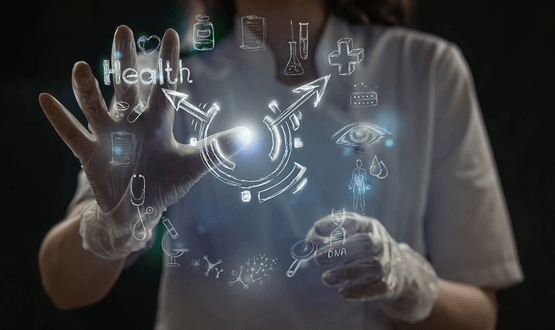 But unlike images, structured clinical data is still being kept in the silos of the applications that produced it making data unavailable to others. Most healthcare providers have many, many applications. 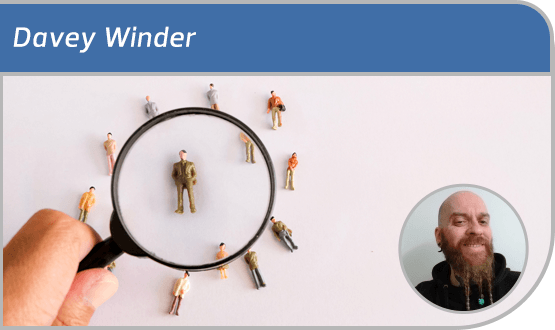 When the GDPR directive came into force last year and providers had to catalogue their systems, larger trusts discovered they had hundreds of applications. All of them have patient data. All in a vendor’s proprietary format. In order to make the best use of it, data needs to be extracted to build a lifetime health record describing the health status of the patient as accurately as possible. Using integration engines, data dumps, messaging or APIs, data is collected from as many applications as possible. Of course, this is a process and will not happen overnight. The first step is to focus on one or two areas where you are looking to innovate by buying or building a new app or application. Once you have access to this data, normalise it to a vendor-neutral format and cross map different coding to standard terminologies. This means using standards like openEHR for structured data, IHE XDS for documents and DICOM for imaging as Gartner suggests. It’s now time to take advantage of this consistent, longitudinal record to enable innovation. How do we do innovation today? – we build a feral system! On the positive side, because they are driven by end-users, feral systems fill many gaps, are developed quickly, solve real problems and can also be very innovative. They often become essential for users to carry out their daily work. But there is another side to feral systems. For one, lack of integration with core systems prevents the sharing of data, requiring users to enter the same data repeatedly. Think about GDPR compliance and lack of governance. While innovative, feral systems are often not built or managed properly and thus pose serious risks to organisations. What if you could buy or build new, innovative apps and put them on top of consistent data? Think patient engagement, precision medicine, clinical decision support, pathways and guidelines and how much easier it would be to build these solutions on a common data layer using predictive analytics, algorithms, machine learning and AI! 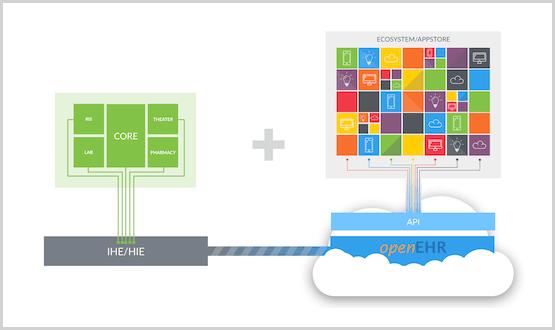 You could now build an ecosystem of apps and applications which share data without additional integration. As long as apps commit to accessing and storing all data in this patient record, you can grow the ecosystem, taking advantage of innovation from different vendors. This architecture is fuelling the next generation of solutions known as the Postmodern EHR. As mentioned above, most healthcare IT today is application-centric. To unleash innovation, IT has to start moving from the current state to a data-centric world. This requires three fundamental steps: integrate, open, innovate: use interoperability standards to integrate existing systems and data. Storing data in an open, vendor-neutral format will then enable ecosystems of vendors to innovate. To see evidence of success with this approach, we need to look at the early adopters: countries like Slovenia and Norway, cities like Moscow, trusts like Plymouth, Taunton, Salford Royal and South London and Maudsley. Matt Hancock on his appointment as secretary of state for health and social care put interoperability firmly at the heart of his vision for the NHS. Whilst the ‘Five Year Forward View’ has been driving towards integrated care across all care settings for some time, its transformation funding was largely sucked into the hospital sector because of pressures in secondary care. With the announcement of the NHS Long Term Plan the real prevention work out into primary care and the community can now truly take shape, with technology as a crucial element in driving productivity improvements. Interoperability is core if this technology is to ‘transform the way we engage with the NHS’ and ‘improve the way care is delivered’. Whilst the NHS Long term Plan provides a real-term, potentially ring-fenced, funding boost for the community, mental health and social care settings, the reality of disparate silos of information is still a very real hurdle for integrated care. Matt Hancock’s focus on open standards to ensure the full interoperability and accurate translation of data between disparate systems is fully supported by Dedalus. As an active member of INTEROPen and with an R&D programme committed to open data, Dedalus solutions encompass the latest global healthcare standards – such as SNOMED CT for clinical coding, NHS dm+d (dictionary of medicines and devices) and HIE, HL7, FHIR and CDA2 for full information sharing. 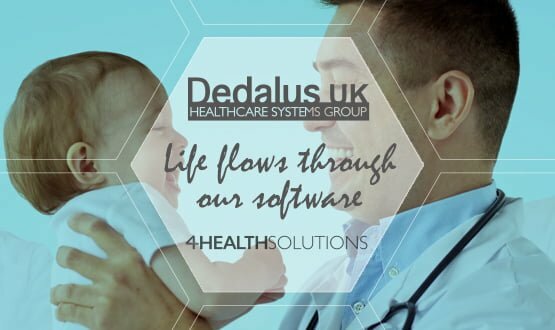 X4H is part of the 4Health Solutions portfolio from Dedalus UK and is a vendor neutral, interoperability platform that consolidates data from many disparate health and community information systems to give a single, actionable patient record available across all healthcare users. X4H can operate on many levels from a foundation-level integrated record viewer to a platform for full population health management. 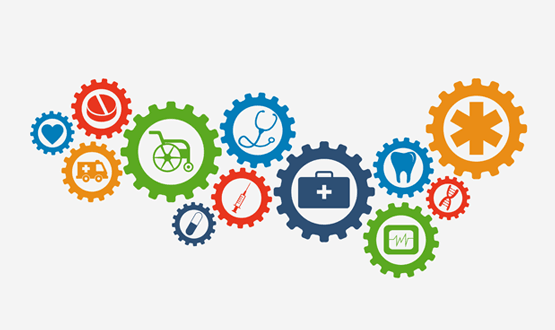 With 1.4 million NHS staff, 1.5 million local government personnel and a huge raft of disparate systems and processes both within healthcare and out into the community – fully integrated care may seem a monumental task. But with over 40 full scale global interoperability installations and more than 120 interfaced solutions, at Dedalus we are adept at solving complex challenges across entire care communities. Unlike most conventional interoperability platforms which offer only mono-directional data flows (i.e. simple data aggregation), X4H, even in its basic out-of-the-box configuration, enables multi-directional workflows to give true interoperability to clinicians, laboratories, pharmacies, mental health, GPs, community staff, etc. – all within strict security and privacy protocols. It also has the ability to empower patients to take part in their own care process via Patient Portal applications. X4H is Dedalus’ foundational interoperability engine, the enabler that brings third party systems together through seamless data integration. Built around the latest global healthcare standards, including IHE, HL7, FHIR and CDA2, it allows healthcare organisations to share and exchange information and future-proof against emerging integration patterns. Health Viewer – our entry-level, web-based solution is HTML5 compliant and gives clinicians access to this invaluable data repository from a variety of handheld and static devices. Dedalus is at the forefront of new solutions development and is #3 KLAS-rated for new clinical projects worldwide – with over 3,000 global customers on 4 continents, in 25 countries. With a wide range of expertise in multi-site ‘hub and spoke’ laboratory networks, complex electronic prescribing and pharmacy installations or cross-boundary health and social care implementations, Dedalus enterprise-wide care planning and new clinical pathway development can facilitate a smooth transition in virtually any clinical environment. Our X4H Clinical Workflow Enhancement module enables well-recognised pathways to be pre-set into the system, allowing secure, event-driven alerts to be delivered to the next carer in the process. The challenges of establishing effective care pathways with strict clinical and information governance across such disparate audiences cannot be underestimated. Human and organisational processes are often well embedded and need skilled, perceptive, proven management to make the transition to full interoperability. Taking into account all stakeholder needs, while harnessing the full potential of the workforce and any existing systems is what Dedalus does best. The demands nationally are now for record sharing across whole populations such as in the Local Health and Care Records Exemplars (LHCRE) and CCG/STP projects in order to drive real population health improvements. Our Business Intelligence and Analytics module forms one of the core components of our Population Health offering. It allows for a real-time glimpse into any organisation’s performance – both clinical and financial. Users can identify and monitor critical subsets of their population to set clear care parameters and drive health initiatives. According to Theresa May the focus now is on digital innovation to ‘harness the power’ of the workforce and ‘expand the boundaries of what the NHS can do in the future in the fastest, safest and most ambitious way possible’. 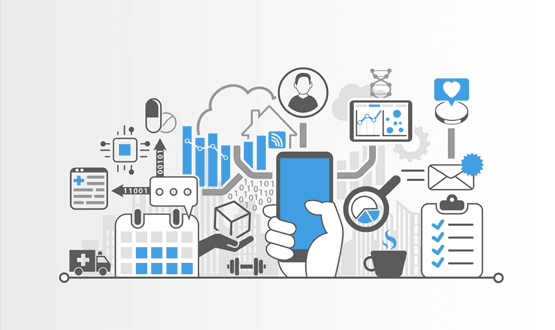 Current examples of this include the approved NHS Apps Library, the NHS Login for digital access to personal care records, digital appointment booking and consultations, and Open APIs for new solutions integration. At Dedalus our stance is to ensure that any new developments can be quickly integrated into our fully functional interoperability solutions so that immediate value can be realised and we can begin to see the true potential of the empowered consumer in health. Innovation is moving fast – so must we! The lack of interoperability of data and systems has been a significant blocker to the delivery of integrated care for years. It has caused the pursuit of a single view of patient information to be difficult and dependent on the willingness of vendors to work together. It has largely been the job of NHS organisations to put pressure on their suppliers to make data available, with no formal incentive coming from the centre. There has been an absence of widely accepted data standards, making interfaces costly to build and not repeatable. The good news is, this is changing. Orion Health is a founder member of the INTEROPen movement, dedicated to the development of open standards for interoperability in the health and social care sector. This group has achieved a huge amount since its creation in 2016, including a library of HL7® FHIR® resource profiles and interaction patterns (APIs). These include Care Connect APIs developed with NHS Digital. This movement has been voluntary and driven by those passionate about making interoperability a reality. So, it’s encouraging to see in the recently published NHS Long Term Plan that commitment to interoperability will no longer be a choice for vendors, in that compliance with published open standards will become a formal requirement. So, why is interoperability so important? Is there a real-life use case of it improving efficiency and care? Yes. The Connecting Care Programme based across Bristol, South Gloucestershire and North Somerset has provided an integrated digital care record since December 2013. Since the initial go-live, many new integrations and functionalities have been added over time. Last year, the team had an ambition to reduce drug-related deaths for the homeless and vulnerable by bringing information on prescriptions for Opioid Substitution Therapy (OST) drugs into the integrated digital care record. To meet this ambition, Connecting Care worked with Orion Health’s pioneering integrated digital care record and the Cyber Media drug and alcohol system, Theseus, which is used by Bristol City Council. To our knowledge, the project marked the first implementation of a Care Connect API in England. The project was very rapid, going from design to go-live in just seven weeks. The new FHIR supported interface can be viewed by staff working in 27 organisations, including 85 GP practices, NHS hospitals, mental health and out of hours services, social services, paramedics, charities and hospices. This project proves what can be achieved when we embrace open standards and work together for the benefit of the patient. FHIR® is by no means a magic bullet, but it is only by using these emerging standards that we can refine them and move forward. This is complex stuff, but we are so much further ahead than five years ago when we were still discussing who owned data, and what could be shared, and what standards should be used for any sharing that took place. Are you looking at implementing an integrated digital care record? If you are looking to implement an integrated digital care record and to ensure that your project is at the forefront of interoperability, get in touch with us for a demo.